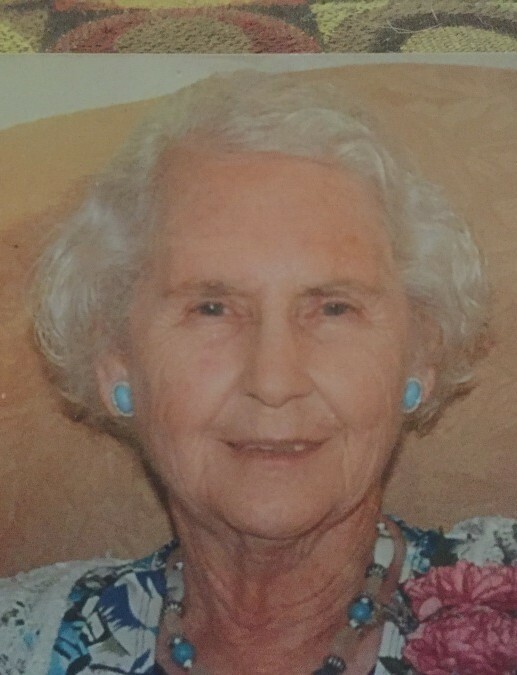 Lemmie Dell Garrish Credle, 87, of the Rose Bay Community, died, Monday, March 25, 2019 at Vidant Beaufort Hospital, Washington. Born in Hyde County, August 12, 1931, she was the daughter of the late Lynn and Carrie McKinney Garrish. She was married to Seth Bridgman Credle, Jr. who preceded her in death. Mrs. Lemmie Dell was a member of the Rose Bay Baptist Church. She enjoyed cooking, spending time with her family, children. She a was a strong servant to the Lord and found great strength in studying His word. Funeral service will be held at 2:30 p.m., Thursday, March 28, 2019 at the family plot in Soule Cemetery. Pastor Jerald Craddock will officiate. Surviving is a son, Pete Credle and wife, Dawn of the Rose Bay community; four daughters, Martha C. Neal of Pantego, Marla Sue C. Gibbs of Engelhard, Sharon C. Miller and husband, Matt of Knightdale and Beverly C. Garrett and husband, Rob of Greenville; ten grandchildren; twelve great grandchildren and one great great-grandchild. She was preceded in death by two brothers, John E. Garrish, Roy Garrish; three sisters, Elizabeth G. Carson, Edna G. Heath and Bernice G. Mayo. The family will receive friends Wednesday evening from 6:00 p.m. to 8:00 p.m. at Bryan Funeral Service, Swan Quarter. Flowers are welcome or memorial contributions can be made to a charity of choice.